I’m still digging into Ghidra, building off of my last post which was meant to be a kind of “IDA to Ghidra Crossover” guide. 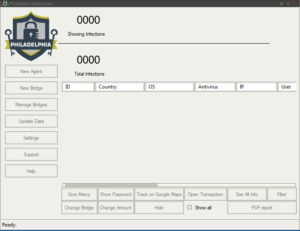 For more Ghidra practice, I took a piece of ransomware that I analyzed before (using IDA) and worked on it with Ghidra. Whenever it makes sense I’ll do a side-by-side comparison. 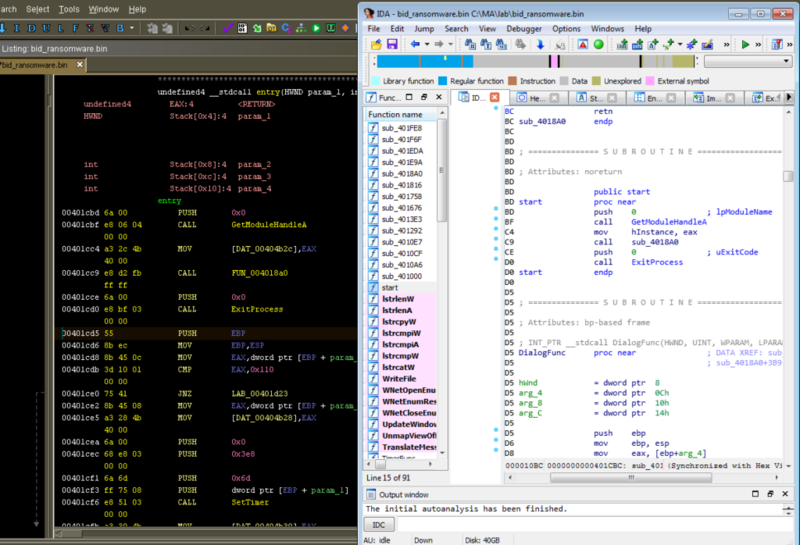 I’m using Ghidra 9.0 Public and Ida Free 7.0 (both running in a 64-bit VM). Changing not very descriptive parameters like 0x40000000 to something like GENERIC_WRITE is easy in both programs. 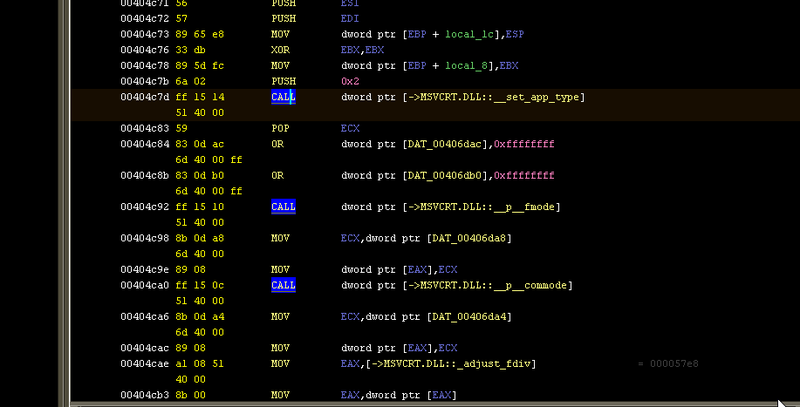 In IDA, it’s M to bring up the enumerations, and then you pick one from the list. In Ghidra, it’s E to “Set Equate” and then pretty much the same process — look up the value you want to apply there. Also, it’s nice to see that Unicode strings are picked up automatically in Ghidra, not just ASCII strings. It’s not that big of a deal to tell IDA to treat something as a Unicode string, but having Ghidra automatically do this is one of those little things that I appreciate because it’s something that I find tedious (maybe there’s a way to make this happen automatically in IDA that I just never learned). Going through a sample that I previously analyzed with IDA helped me get more accustomed to Ghidra because I have some idea of how it the final product should look already. 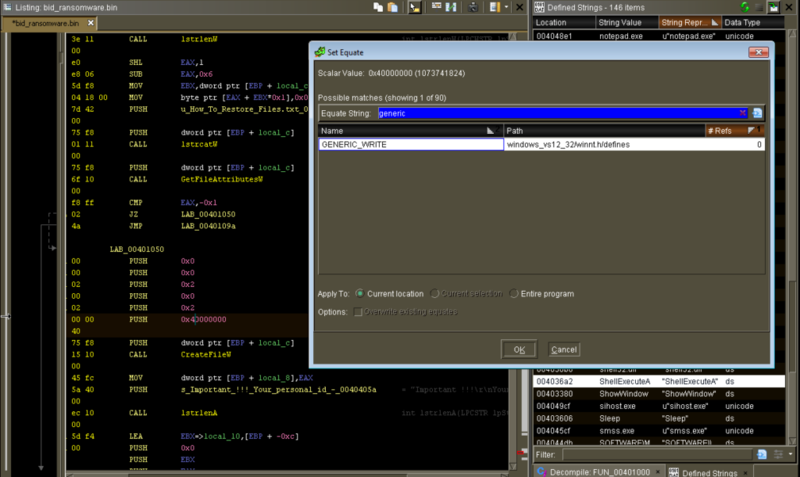 The more I use Ghidra the more I like it. I’m still going to keep IDA around — for instance, I tried loading up a really old DOS game executable, and while Ghidra didn’t come up with anything meaningful in the program listing using automated analysis, IDA Free 7.0 at least came up with some results. Time permitting, I’ll try to look at samples in both programs for a while just to see how things differ. 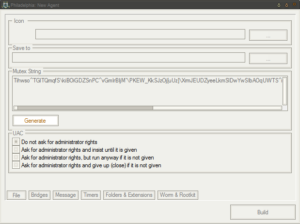 BLUF: Ghidra is awesome and I’m looking forward to switching over entirely from other tools, and not having to sell my car (and the neighbor’s) to afford a license is quite convenient. 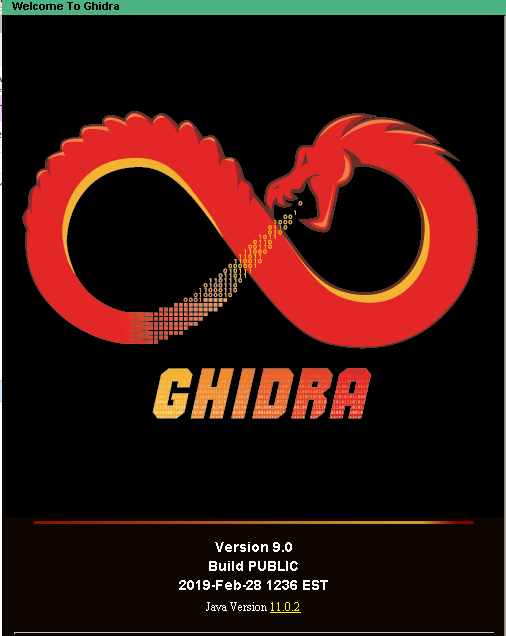 I finally got a chance to sit down and take a look at Ghidra. I’ll admit that my first couple of minutes with it wasn’t great, but I think that was because the software does so much that it can seem overwhelming. I thought about how I currently use IDA, and made some quick notes about how to do those things in Ghidra. 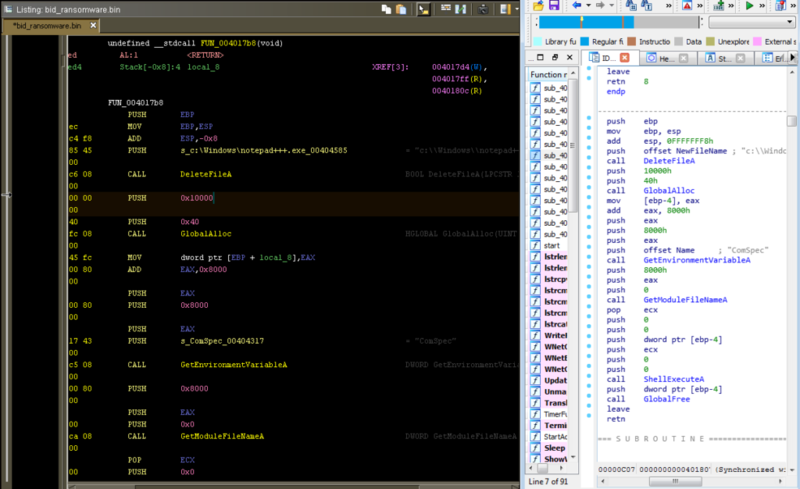 After figuring out how to do the things I need to do, I started to REALLY like Ghidra. Here are my notes in no particular order. 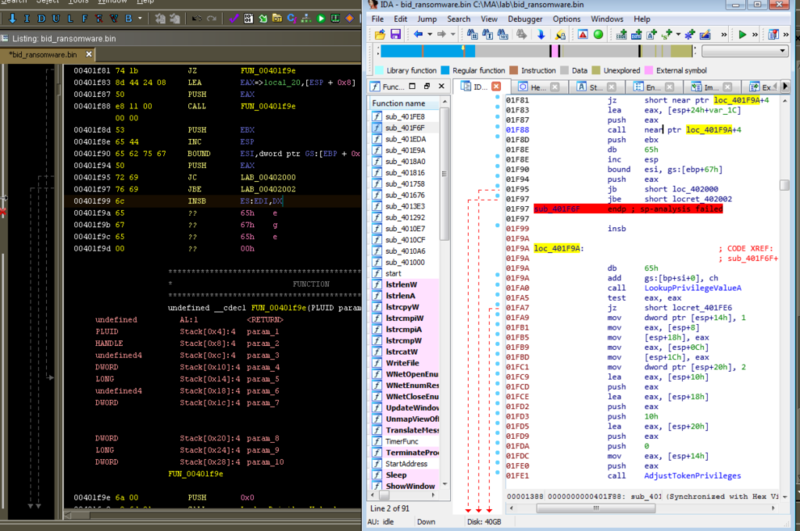 Next post I plan to write about reversing something with Ghidra, and maybe even do a side-by-side reversing comparison with IDA if I have the time. CTRL-Z to undo and CTRL-Shift-Z to redo. Be aware that this will undo more things than you might anticipate — for example, one time I did an automatic analysis of a full file, and undo actually undid all of the analysis done by the program and I was back to just a raw listing. 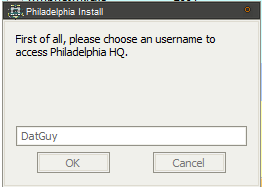 This isn’t what I would expect to happen — I figured that it would only undo simple things like undo a label I just created. Not a problem, just interesting to see how it works. Just Alt and the left or right arrows. Still getting used to not hitting Escape all the time. 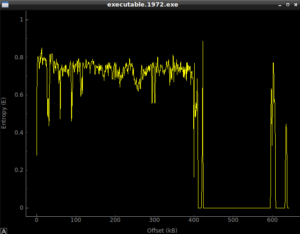 In IDA, I’m used to pulling up stuff like the Strings subview with Shift-F12. 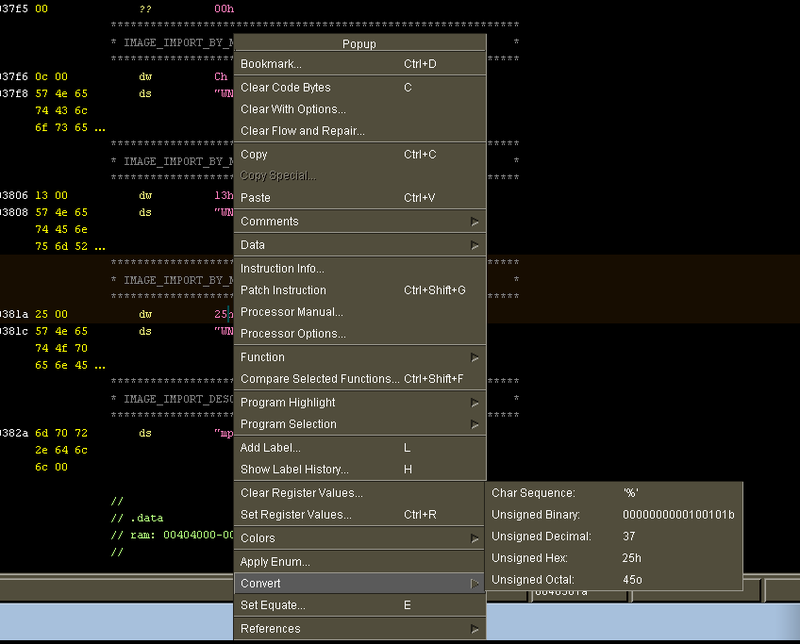 Once you’re in the CodeBrowser, then place you’re going to want to look is in the Windows section of the menu bar. 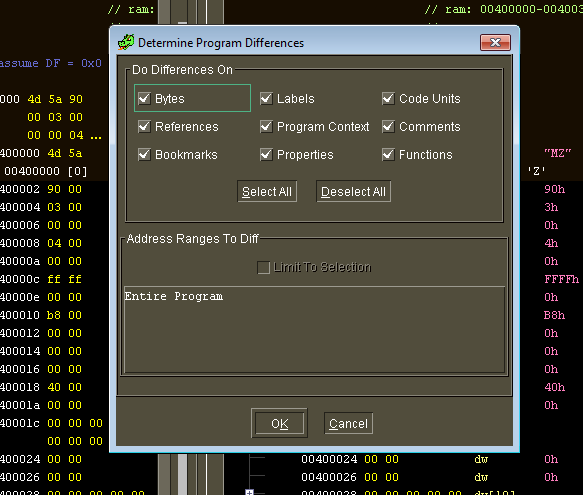 Besides the Strings window, you’ll also find stuff like Bytes (like the hexview in IDA) and the function graph, which is similar to the graph view in IDA. To add a bookmark, CTRL-D, and to view the list of bookmarks, CTRL-B. Sound familiar? Add a comment with ; and from that dialog box, you can select the type of comment (e.g., repeatable). Other comment types specify if you want the comment to come before the line, after the line, or even do a “plate comment”. Hit L to add a label to a location, say if you want to provide a name for a section of code within a function that represents different paths from a branching instruction. This would also be how you rename functions. Put the cursor on the function name in the main window and hit L, then you can change the function name using the dialog box. If you want to change more than just the name, put the cursor on the function name and hit F, which will let you modify the function name but also things like the calling convention, parameters, etc. For instance, maybe you want to search for all instances of XOR so you can pick out where there might be some XOR encoding. I highlight the instruction, then from the menu bar select Search | For Matching Instructions | Exclude Operands (to find just XOR, not XOR EAX, EAX for instance). 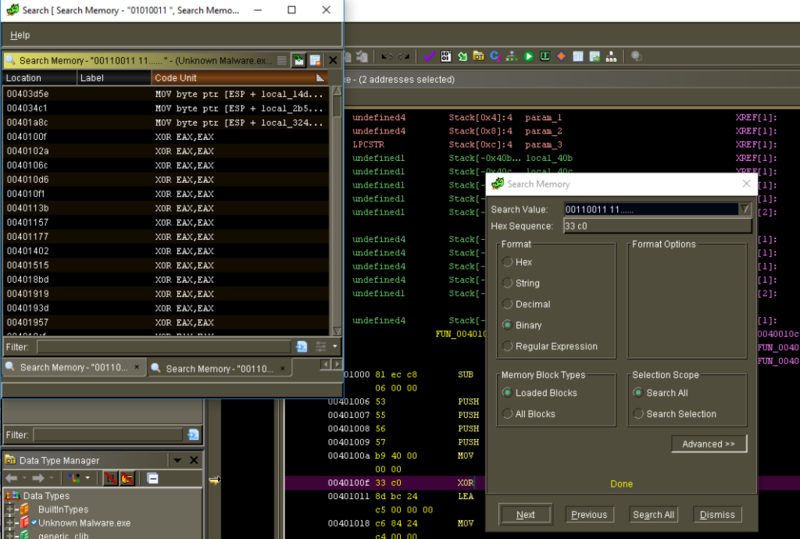 Then from there you can select where you want to search (the entire program, or just a selection) and other options, and then you get a similar listing to what you might see in IDA. Pretty easy — cursor on the value you want to look up, press E to bring up the enumerations dialog box. Haven’t done too much with this in Ghidra yet, but looks pretty similar to IDA in the sense that you need to have some idea of where to find what you’re looking for (for instance, I’ll probably still have to look up functions in MSDN to figure out what the possible enumerations are). Not sure how to add my own enumerations, though it looks like Ghidra has so much (and it’s so well organized) that perhaps this won’t be necessary. 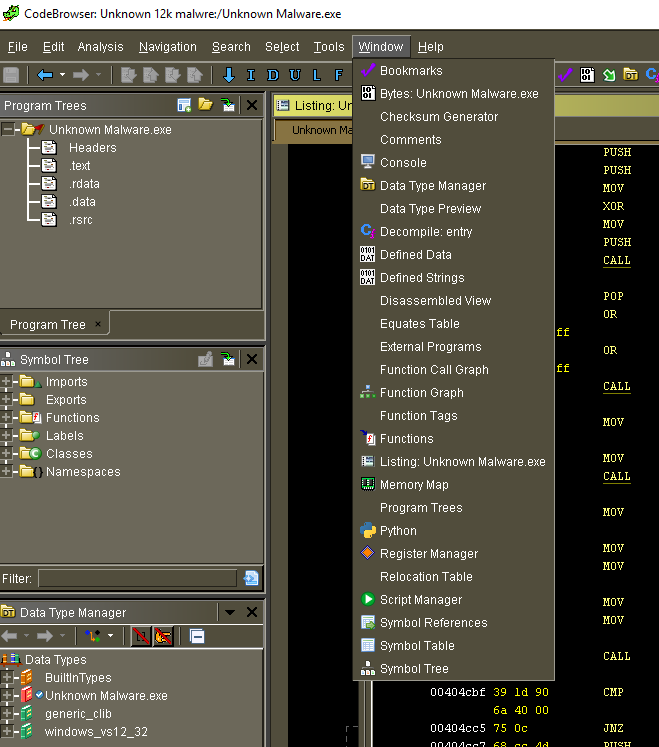 To wrap it up, these notes represent just a tiny amount of Ghidra’s full functionality (and, in fairness, a tiny slice of what IDA can do also). Let’s also not forget that I didn’t even get into the decompiler functionality of Ghidra in this post. I’m not trying to dump on IDA and I hope it’s not coming across that way, but I’m just really excited to have this great tool available to use without paying a ton of money, especially for architectures other than the usual x86/64. 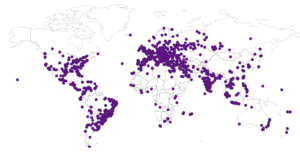 I expect this is unnecessary if you are already reading this post, but you can find Ghidra here if you don’t have it already. 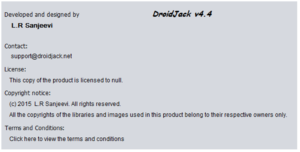 You’ll also need OpenJDK 11.0 (though it might work with other versions, I have not tested it out). – These domains are being registered and then are used to host legitimate content, but someone compromises the sites to host the malicious file (see this comment on VirusTotal for someone else putting this idea forward). MalwareBytes has an article about something very similar, and there’s a FireEye report on the this. 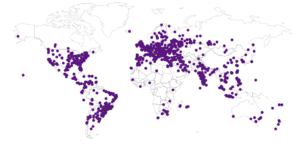 Looking up some of the domains didn’t reveal much — two are newly registered over at Alibaba, one is registered to someone purportedly from Taiwan, another to someone in mainland China. 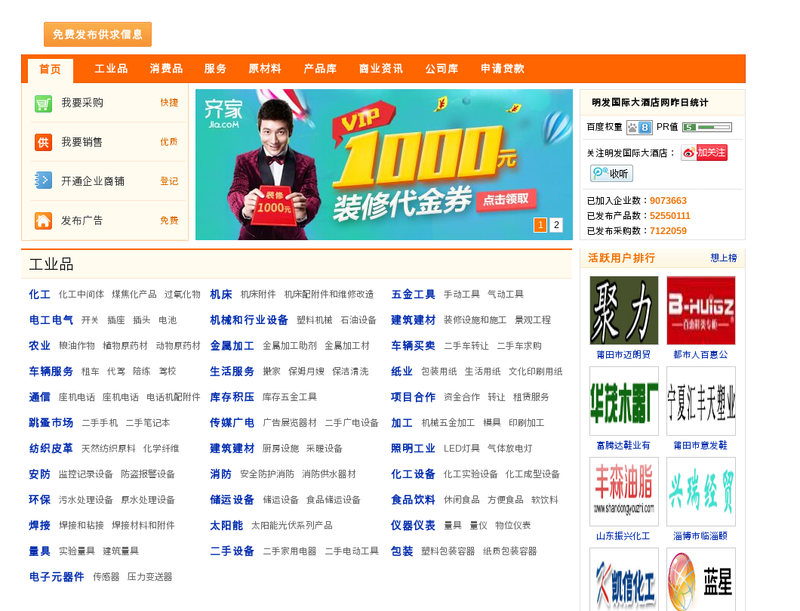 Pivoting off of whatever information I could find, it appears that the registrant of 057416.com has also been associated with at least 1,000 other domains (all sort of “spammy” looking domain names) and the person behind beiyongde.com has three other domains associated with their name. None of those other domains are currently hosting anything. I’m going to move on from this stuff. As interesting as it is to see that these relatively ancient samples are still going, I’d still like to try to find something new, so I don’t think I should spend more time here. I recently came back from REcon 2018 (Montreal) where I took a fantastic class called Binary Literacy taught by Rolf Rolles. This class was one of the best I’ve ever taken (in any subject), and helped answer many questions I had been wondering about for years when looking at disassembled code from various samples. I left this class with some new skills around manually decompiling disassembled code back into something resembling the original code, and I highly recommend taking the course if you have the opportunity. Rolf is a great instructor, and you can tell from the quality of the material and the in-class presentations that he’s put a tremendous amount of effort into refining his course. Coming back from the conference, I wanted to put what I just learned into use as soon as I could on a “real” sample. I found a copy of an unnamed ransomware that I’m calling BI_D because of the file extension that it appends to encrypted files (maybe someone out there has named it since I’ve looked at it). I thought this would be a decent example to start with because it’s relatively small (only 11,776 bytes) and seemed free from obfuscation and didn’t appear to be heavily optimized during compilation. While I manually decompiled pretty much the entire disassembled code (with the exception of a base64 encoding function and another function that I eventually passed over because I just ran out of steam) I’m not going to share this entire decompilation here. I have some concerns about sharing what could pass as a full ransomware source code, even if this first project of mine is likely a bit of a mess. 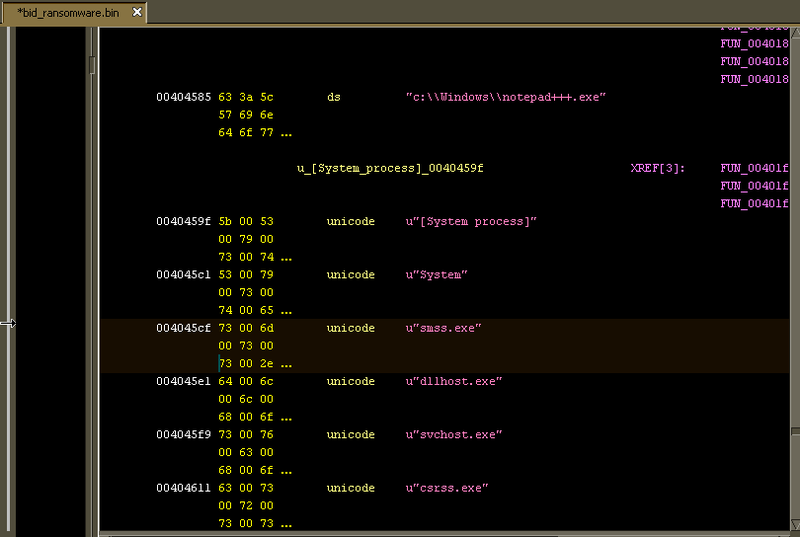 I’m sharing certain areas that I found interesting, as well as the Ida file. I’d also point out that Rolf kindly looked at my first draft decompilation and offered valuable (and extensive) feedback — however, any errors or issues in what I’m presenting are solely my own. Before getting into details of the decompilation I’d like to cover some observations and experiences. First, I’m using a 64-bit version of Ida (Ida Free 7.0) for this, even though the executable is 32-bit (didn’t occur to me until Rolf pointed this out). I do have an old 32-bit version (Ida Free 5.0) but unfortunately it didn’t occur to me before I was well underway in the disassembly. Next time I’ll do this in a Windows VM and run the older 32-bit version to match my sample. I tried to fix all the function prototypes in the decompilation and disassembly as best I could, but I think that there are a few that seem busted up possibly due to the 64 vs. 32 bit issue (please let me know if you know why this is). – I’ve seen places where there’s a local variable that’s a quadword — these turned out to be structs, so anywhere I see quadwords (or anything other than a 1, 2 or 4 byte parameter) I’m going to look in what functions use this parameter to see if there should be a struct or array there (assuming Ida didn’t already do this for me). – It’s probably also obvious that I didn’t spend much time trying to figure out types, which is something that needs doing if I’m going to really have a true decompilation of what I’m looking at. Summing up, I’ve come very far from where I was last time I posted here (or even a month or two ago), but I think a good next step would be to try doing one of these projects again with a new file. At a certain point it seemed like I should just start over with this one, but I just couldn’t find the motivation to throw everything out and start over from the beginning. I’d rather present what I have, warts and all, and then present another project similar to this one that’s (hopefully) much improved on the issues I identified. Regardless of any issues in the final results, this whole project was a tremendous learning experience for me. Now I’m going to get into various parts of this ransomware to discuss areas I found interesting (along with the associated decompiled sections). 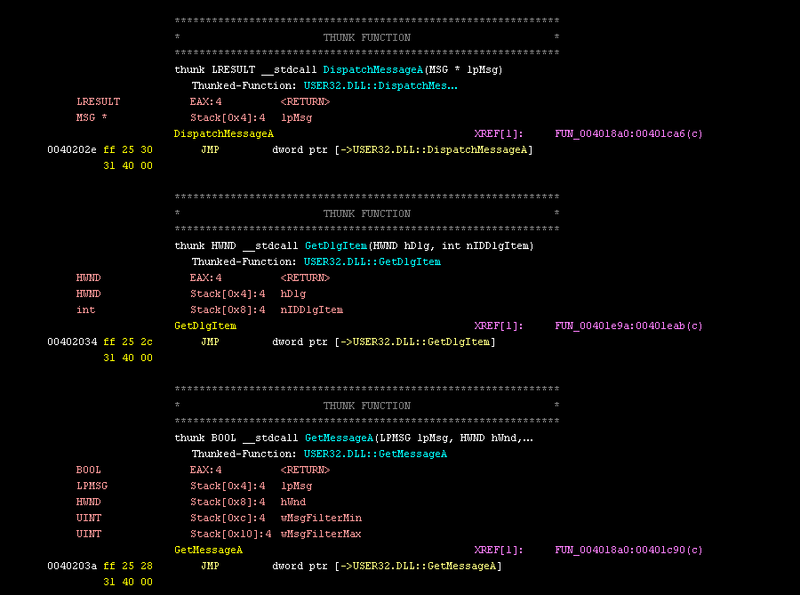 Download my Ida file here. Note that you’ll have to change the extension back to .i64 as WordPress didn’t like me uploading that kind of file (or certain other formats). 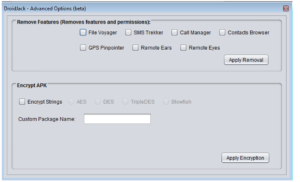 One of the subsequent functions that I found interesting was one that begins at 401676 that I named RANSOM__FindDrivesEnumResources. I imagine that this isn’t a terribly exciting function but I thought it was interesting to dig into how calls to GetLogicalDrives() actually works and how the ransomware appears to use the returned bitmask from this function to determine how many threads to create to encrypt files found there. This is going to be my last post for a while, because the primary purpose of my blog has been achieved. 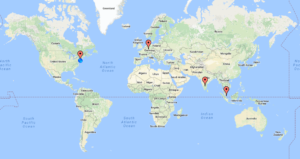 I started this blog as a way to showcase malware analysis work that I’ve done, like a portfolio. I recently accepted an offer at a fantastic organization to do exactly this kind of work. I couldn’t have asked for a better role. I plan to focus solely on my work there which is why I’m going to basically shut down this blog for now. If I have the time, I may post about malware when I have a chance, or about other topics of interest, but for now I’m going quiet. I attended the third annual New York Metro Joint Cyber Security Conference on Wednesday, October 5th and I got to see Lenny Zeltser’s presentation in the morning. I had been up until about 2 AM that morning working on a project to submit to someone, so I got a bit of a late start but managed to make it into the room just as he was beginning his talk. Lenny’s talk was his usual great content, this time focusing on sort of a “Malware 101” for the attendees. 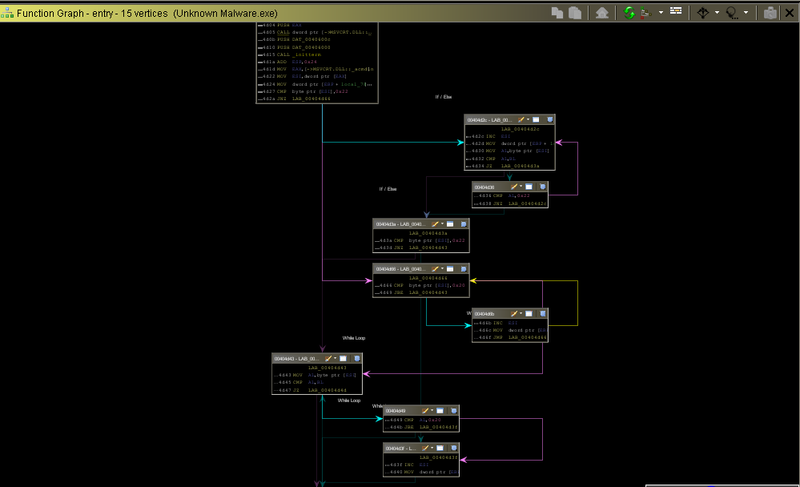 Lenny has a framework for malware analysis which starts at the simplest (automated analysis) and escalates in difficulty up to manual code reversing at the top. He covered his first three areas which encompassed automated analysis (sandboxes), static and dynamic analysis. Nice tool for looking at PE headers. You can see full feature list on their site. Notice that there’s a standard and professional license and the feature list reflects what you can and can’t do with each. The interface looks really nice, and there are some features in the standard (free) edition that could be really helpful like entropy detection and anti-debugging import detection. There are a few things missing in the standard edition, though, like listing exports and resources that I’d miss if I switched to PE Studio completely, so I think I’m going to add this to my toolbox and switch back and forth between this and PEview. If budget were no option, I’d definitely start using the professional version of PE Studio going forward, though. 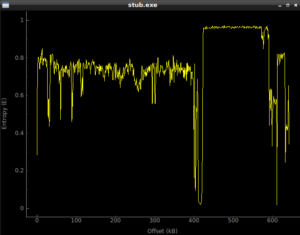 CaptureBAT is a tool that, as Lenny put it, makes a good compliment for something like Process Monitor. This software records state changes and is good for capturing information on file creation, deletion, and other things that you’d be interested in knowing about during dynamic analysis. The only issue with CaptureBAT is that it’s only for 32-bit Windows systems. 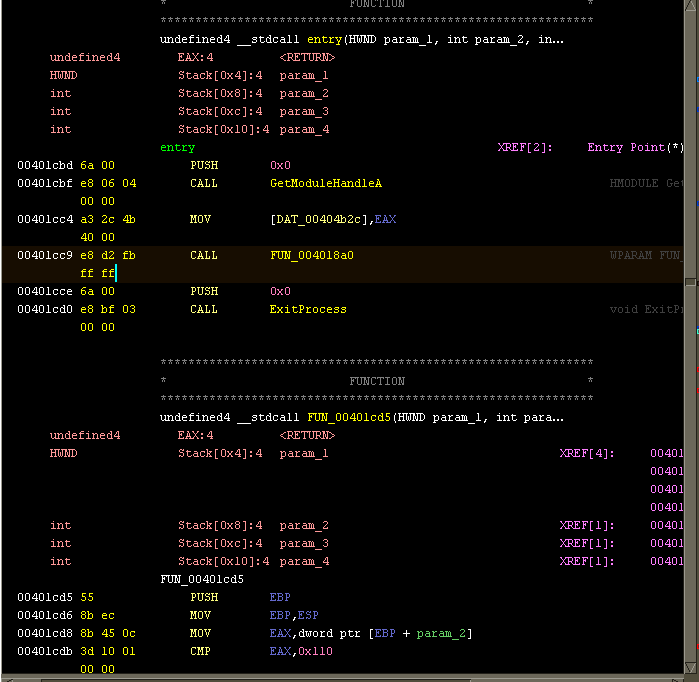 Lenny said that NoVirusThanks has some tools that can approximate the same functionality for 64-bit machines, though. 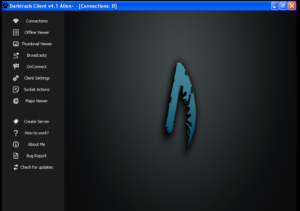 This is a Linux distribution maintained by Lenny Zeltser that comes preloaded with tools for malware analysis. You can browse the full tool list yourself, but this comes with a ridiculous amount of tools both for doing malware analysis directly and for activity in support of malware analysis (such as simulating an Internet connection). 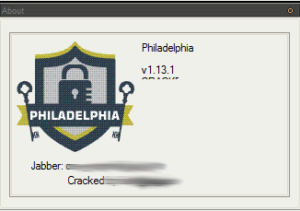 I almost think of this as like a Kali for malware. As far as the other things, I’m going to write up a couple of little topics that came up during some of my analyses that might be of interest to people doing malware analysis. Nothing groundbreaking here, but it worked. I put this file into the directory where the malware dropped the .vbs files, and then started the .bat file before I started the malware. When the malware executed, this batch file was able to catch both of the dropped files and made a copy for me to review later. Obviously you could change this to work with different types of files or whatever else you wanted, but this was just a really quick and easy workaround to this issue. DeleteFile is a fairly common imported function in malware I’ve analyzed, so you’d think that you’d see calls to it in Process Monitor. Another thing I’ve observed is some malware will delete files from a command prompt, and this is fairly easy to pick up in Process Monitor as well. This copy of Adwind, however, deleted files in such a way that it wasn’t immediately obvious to me. What it did was make a call to SetDispositionInformationFile to set Delete:True. If you have files that “disappear” during your analysis, take a look in Process Monitor and set a filter on Operation for SetDispositionInformationFile — you should see the disappearing files show up here. Basically, when this is set to True, then the file is deleted when it is closed, as explained by this MSDN article. This blog post from Malcolm McCaffery goes into more detail here and explains why you shouldn’t expect to see a call to DeleteFile in your Process Monitor results.